This is one expression of an often argued point of view that the Christian God is, if real, a vain being who creates beings such as ourselves for no other reason than to worship and give him praise. That, I'm afraid, is one powerful argument. After all, we all know, that our lives, if we are followers of the way, is to glorify the Name of God. But, before we concede this point, let us look at the assumptions in this philosophy to make sure they are solid. Bertrand Russell contends that God is offended by those who doubt his existence because of his vanity. Ok, it might seem that God has pride in his achievements, as he is, time and time again, described as "good" and the works of his hands he "saw was good", the earth and all the creatures. How could you have "too" much pride in what you have done, if everything ever made, you made? How can it be too much, if there is not competition? Got me there. He is hurt or upset by those of us who chose to deny him, but it is not out of pride or vanity. It is out of love. You don't have to go too far past John 3:16 to see how much God loves us. God made us and knows how we work. He gives us the choice to live according to our call, with the promise that all things work together if we are answering his call, or to deny him and walk away. He knows that if we praise and worship him, we can be near him, and enjoy him, and be at peace even while we are in the flesh here on earth. So that praise and worship is part of the call, so we can have the peace of God, that surpasses all understanding. Or, contrary to the rules of vain and hurt people, he gives us free will to reject the call. So now you have to decide. 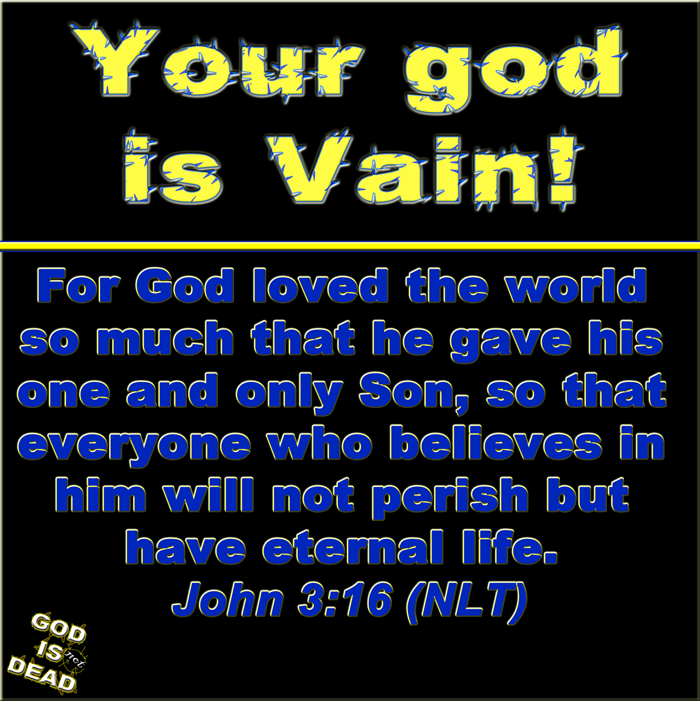 Is God Vain, and therefor not God at all, or does he love you, just as he says. Answer the call or push ignore.